Are you looking to increase your Instagram bio links? Maybe you want to add multiple links to your Instagram account because you publish blog posts, run a live video show, have your own podcast and more? Unfortunately, Instagram only lets you add one link in your Instagram account. Typically, more accounts add their website address. What do you do if you want to add more links? In this article, you will learn about five tools to increase your Instagram bio links. This way you can have multiple links in your Instagram bio and don't have to keep changing your bio link each time you want to promote something to your followers on your Instagram channel. Let's take a look at five tools you can use to help you add multiple links to your Instagram bio. The first tool you can use to add more links to your Instagram bio is called Linktree. 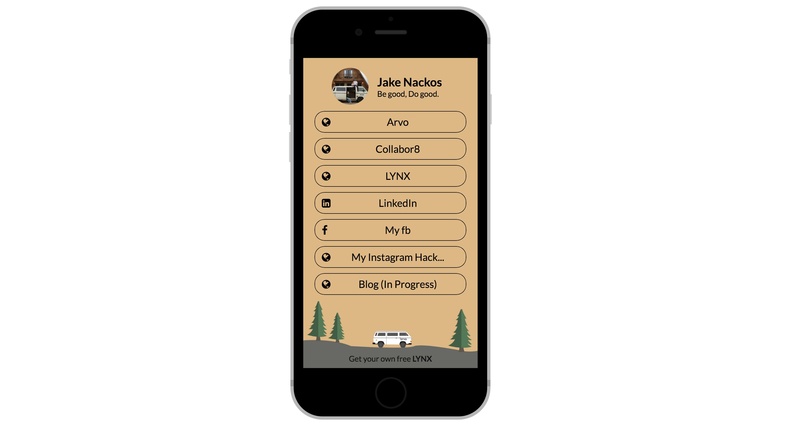 With Linktree, you can use their service to quickly add up to 5 links to a single Instagram account. You do this by adding links in your Linktree account. They give you a custom URL that you can add to your Instagram account. Here is a video showing you how Linktree works. Here are instructions on how to add multiple links on Instagram using Linktree. To add new links to your Instagram bio, click on the green button. From here, you can enter a title along with the link you want displayed when someone clicks the link in your Instagram bio. If you would like to rearrange the links from Linktree, simply drag your links to reorder them. Linktree also includes some very unique features. Each link or button you add includes the ability to view stats to see what Instagram users are clicking on. You can also schedule links to appear and disappear if you're using Linktree Pro. Once you've finished setting up your links in Linktree, the last step is to add your link to your Instagram bio. Linktree provides you with a custom URL. It looks like this. Simply copy and paste the URL into your Instagram bio and save it. You've now added multiple Instagram bio links! If you're interested in upgrading to Linktree Pro, you get a day-by-day breakdown of link traffic, complete customization of your colors and styles, the ability to time your links to go-live, as well as Facebook retargeting. These plans start at just $6 per month. You can try out Linktree using the link below. A second way to add multiple Instagram bio links is to use a landing page tool such as Leadpages. If you decide to use Leadpages to add multiple Instagram bio links to your account, you'll be able to customize your landing page for Instagram thanks to their drag-and-drop builder. Here are instructions on how to add multiple links on Instagram using Leadpages. When you're finished creating your landing page, you'll want to click on publish. With each landing page you create, Leadpages give you a custom URL. Simply copy the URL and add it to your Instagram account like we did earlier. When someone clicks on the link in your Instagram bio, they'll now see the landing page that you created. If you need to make changes to the links, simply go into Leadpages and make your edits there and republish them. Leadpages also includes page tracking features for SEO, Facebook retargeting, as well as analytics so you can see how your links are performing from your Instagram bio. As you can see, in just a few minutes, you can create a beautiful landing page to display multiple Instagram bio links! Leadpages starts at $17 per month. You have to remember, you're getting a landing page builder that you can use on your blog or website, as well as the ability to add multiple Instagram bio links. You can get a free trial of Leadpages using the link below. Another way to add multiple Instagram bio links to your Instagram account is to use LnkBio. One thing you'll notice about Lnk.bio is that it is very similar to Linktree. Here are some of the differences between the two if you're on the free plan. Here's a detailed look at the process for adding Instagram bio links using Lnk.Bio. If you need to, you can quickly change the order of your links in Lnk Bio, edit them or delete them. Once you've finished adding your links, click on "get your URL." As you can see, you don't get a custom URL like you do with Linktree or Leadpages. If you want your own custom URL or the ability to track your Instagram bio link clicks, you'll need to upgrade to Pro, which starts at $0.99 per month. If you run a digital agency or manage multiple Instagram accounts, consider getting the agency plan, which is $1.99 per month. You get the ability to manage multiple Instagram accounts, unlimited links, statistics, the ability to customize your URL and it's also web-based. You can create a free account with Lnk.Bio and try it our for your business using the link below. Another tool you can use to add multiple Instagram bio links is called Link In Profile. What makes Link In Profile unique is that instead of letting you add your own links or images, they pull content from your Instagram channel. From there, you can add a link to your Instagram post content, that when clicked, will take your audience directly to the content. This is a good thing, because you will no longer have to keep changing out the links in your Instagram bio, each time you share new content. Instead, you simply add a link, title and description to the Instagram post you want to show up in Link In Profile. Once you've done this, you'll need to take the custom URL from Link In Profile and add it to your Instagram account. When someone clicks the link in your bio, they'll be taken to a page showing your Instagram content along with a link. To set this up on your own account, follow these instructions. Link In Profile then starts at $9.99 per month for a personal plan. While there isn't a free version of Link In Profile, you can sign-up for a 30-day free trial using the following link. You'll get complete access to try out Link In Profile. The last tool you can use to add multiple Instagram bio links is Shortstack. Here are instructions on how to add multiple links on Instagram using Shortstack. What separates Shortstack from the other tools for adding multiple Instagram bio links is that you get complete customization and more. Here are just a few of the templates that are available for adding multiple Instagram bio links. Once you've designed your landing page, the last thing you need to do is get the URL and add it to your Instagram account. Don't forget, Shorstack can also be used to create landing pages for your blog or website, run polls, add landing pages to your Facebook Page and so on. You can use Shortstack for free or upgrade to their other plans, which start at $29 per month and up and add custom subdomains, advanced analytics, along with additional features. To sign-up for a free Shortstack account, use the following link. Just because you only have one link in your bio, doesn't mean you can't get substantially more out of it. If you frequently publish a lot of content and want to keep your audience updated, adding multiple Instagram bio links helps ensure your audience can quickly find your information. Having multiple links in your Instagram bio also helps increase your opportunities to drive your audience to sign-up for your email list, to learn about your store, listen to your podcast, read your blog, sign-up for one-on-one coaching and more! Should you have questions about how to add more Instagram bio links to increase your opportunities to expose your business to more customers, leave them in the comments. Nice job! Thank you for sharing @jacobnackos:disqus. This is a great article Christain. I’ve been using a free alternative, as all I wanted to do was to be able to share more links in the bios of Instagram and on Twitter where I think it looks much tidier to use a link tool service like https://linkr.in , than have multiple links in the bio.